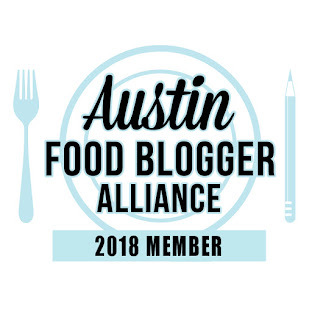 As a fan of all kinds of Asian food, it's often hard to live in South Austin as most of the quality Asian places are up north. 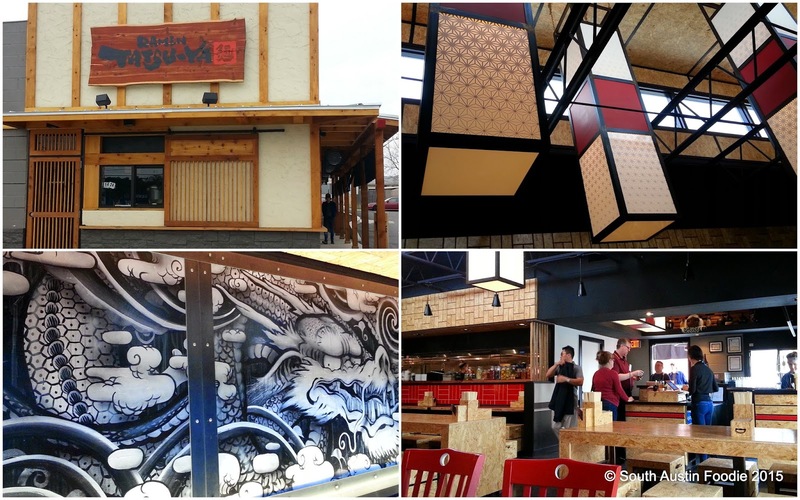 Fortunately, things are changing, and we now have Ramen Tatsu-ya's new location on South Lamar, and Vietnamese trailer LuLu B's has expanded, going brick and mortar on South Congress. Ramen Tatsu-ya's southward march has been highly anticipated and well-documented in social media. Located at 1234 S. Lamar, they are just south of the Alamo Drafthouse complex. The remodeled exterior of their spot is certainly more pleasing to the eye than the strip center that houses the original, and they've done visually stimulating things to the interior without breaking the bank with their extensive use of plywood. I really love the huge dragon mural along the back wall, and overall, there is much more seating than at the other locale. And as for the food. Still excellent. RT is known for their hearty pork broth-based ramen, or tonkotsu. The broth takes on a cloudiness from the bones simmering for hours on end to make the broth. A bowl of this stuff will fill you up. Fortunately, for lunch, they offer the chicken broth, which is definitely lighter but still hearty and delicious. This is what they call "ol' skool" which comes with chasu (pork belly), ajitama (soft boiled egg), nori (seaweed), bamboo shoots and green onions; extra toppings can be added if desired. 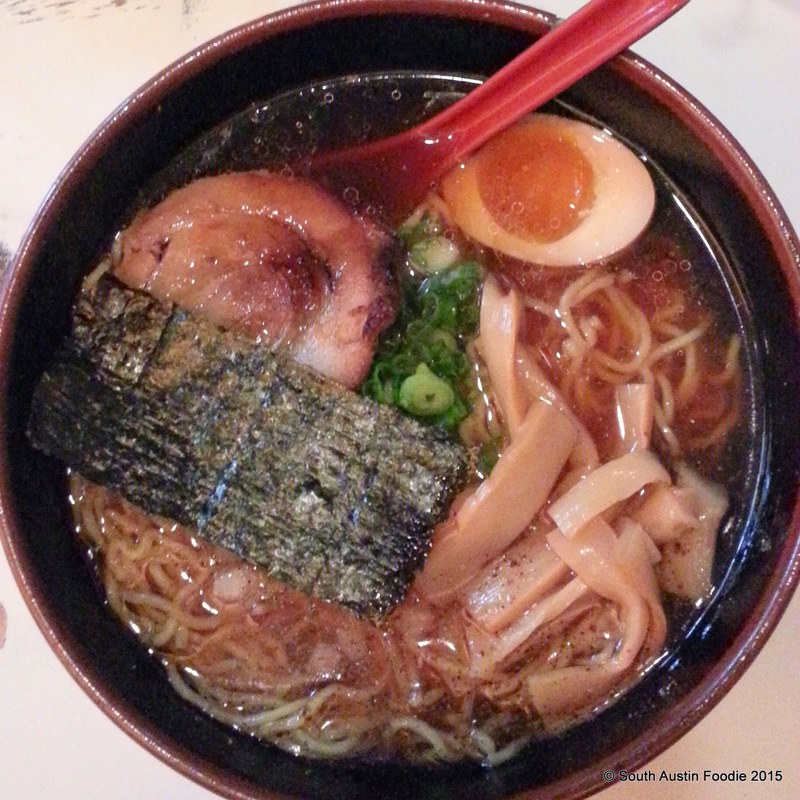 The ramen noodles are tender, but have some springiness to them, definitely toothsome. Take note, they only do the chicken broth at lunch and the pork broth at dinner; a vegetarian ramen is offered during Sunday dinner. They don't to do "to go" orders as they don't want the integrity of their product to suffer while waiting for you to consume it, but containers are available if you can't finish everything on site. LuLu B's has always been my go-to banh mi in South Austin, and I think for a long time, they were the only banh mi in South Austin. Their trailer under the huge oak at South Lamar and Oltorf has always been popular for lunches, churning out spring rolls and bun (vermicelli) bowls along with the banh mi. But their hours were always limited, and I can't count the number of times I would have stopped there to pick up dinner on my way home from work had they been open past 4 pm. It's all changed now, as they moved into an old Mexican restaurant at 3632 South Congress. From their Facebook page, their hours appear to be 11 am - 3 pm, and 5:30 - 9 pm. The decor in the new spot is fairly sparse, and when I was there the menu board was hard to read (purple on black isn't a high contrast to see the writing) but the food still delicious. 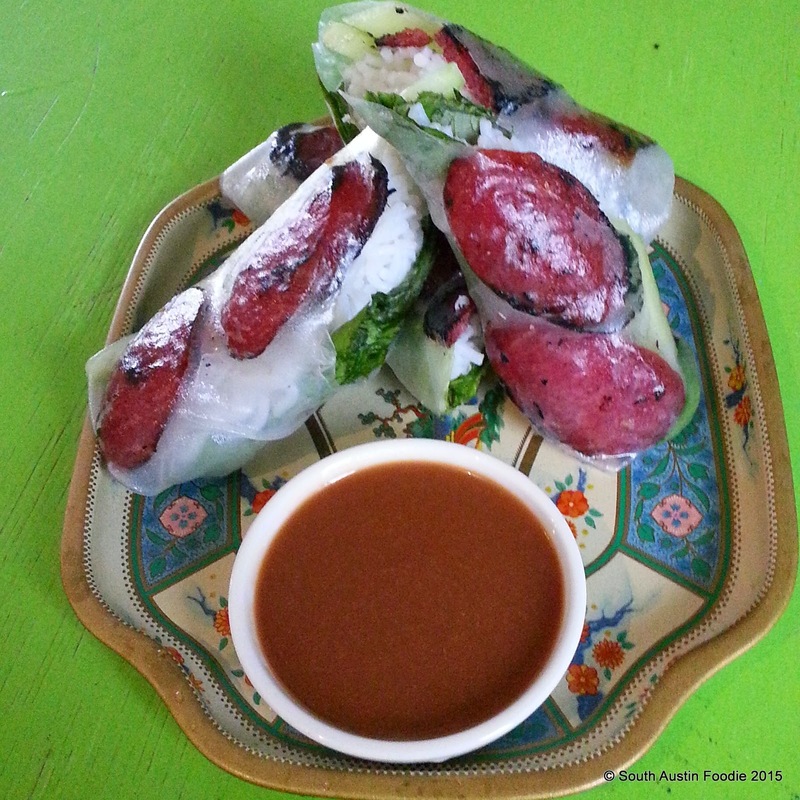 I met a friend there for lunch and we split the Chinese sausage summer rolls, which were the recommendation of the person taking orders. Don't think I'd had sausage in a roll before, but I'd totally eat it again! 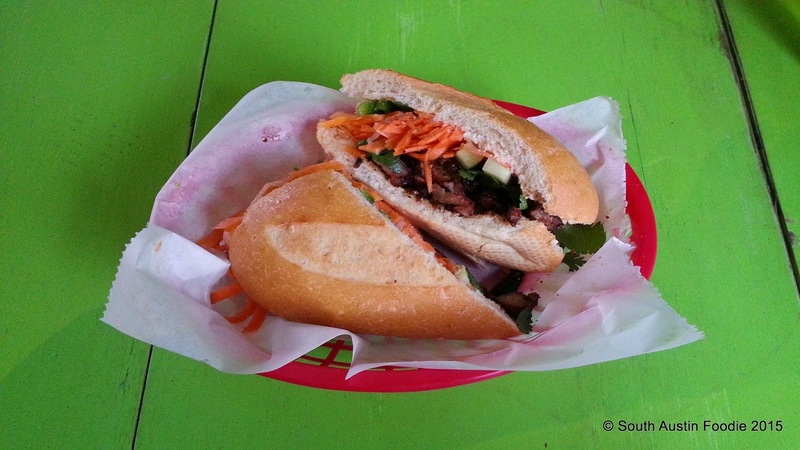 And their Chinese BBQ pork banh mi is so dang good -- lightly sweet with great char-grilled flavor. Usually I'll eat half and save the rest for later, but on this day, I ate the entire thing. Now that they are open for dinner, I can't wait to go check out some of their specials they've been posting about. Oh, and they're cash only right now. 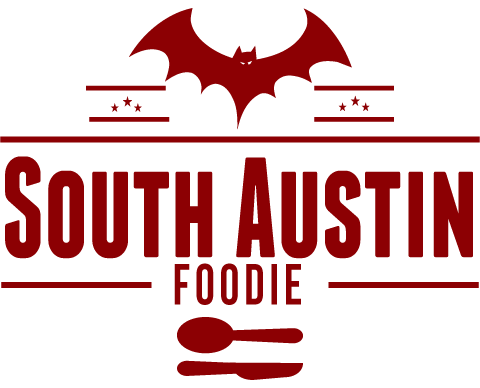 So don't go to north Austin, stay right here, down south for some awesome Asian food! Oooo, I hadn't heard about the Lulu B's B&M! Must go check it out - thanks for the tip!